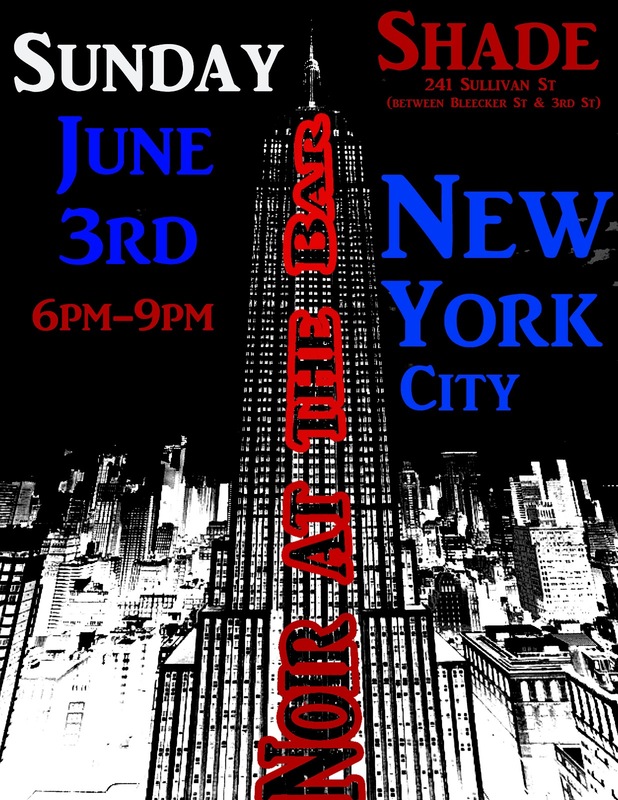 HomeNoir at the Bar NYC: June 3rd. Noir at the Bar NYC: June 3rd. Crime writers Todd “Big Daddy Thug” Robinson, former editor of ThugLit, and Glenn G. Gray, author of unforgettable medical tales that make your innards squirm, are throwing a Noir at the Bar shindig in NYC on June 3rd. I’ll be there, and you should be too. There will be story readings, revelry, and prizes. Because these guys are a real prize. It will be held from 6pm to 9pm on Sunday June 3rd 2012 at Shade NYC, right off Washington Square in Greenwich Village. Address is 241 Sullivan Street. If you’re planning on coming or would like to read, contact me via the “Kontactr” button to the right, and I’ll hook you up with Todd and Dr. G.
Let’s do this thing- we can’t let sunny CA and St. Louis have all the fun.